During my prison days it was suggested – and naturally at that time I had to sign a statement to this effect – that I must have ghostwritten Petru Dumitriu’s books such as ‘Family Chronicle’ ‘Road without dust’. ‘The Tempest birds’ and so forth. Well, it is plainly obvious that whatever one is made to sign (under duress) in prison has absolutely no truthful value. 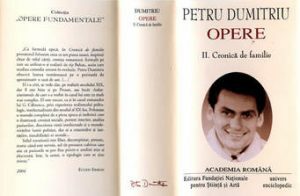 It is not me who wrote Petru Dumitriu’s books, although I do acknowledge that I had a strong influence on his literary début; in fact, the denouement and the spirit of ‘Family Chronicle’ is greatly due to me, but its authenticity and strength are the exclusive brand of Petru Dumitriu. Henriette-Yvonne Stahl earned the unlikely international reputation of being the first personage of a group of three whose case was championed by the newly-founded Amnesty International to be freed as a prisoner of conscience. The other two prisoners were a Pakistani professor and the renowned Angolan communist activist Dr. Agostinho Neto (1922-1979). Why should Miss Stahl share such peculiar attention? 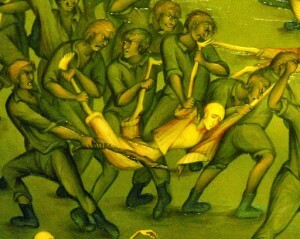 Simply because in communist Romania, under Gheorghiu-Dej, the witch hunt against the intellectual élite was at its paroxysm and as a result some resounding political public trials took place. Henriette-Yvonne Stahl, as a close associate of Bellu Zilber, was indirectly implicated in the Pàtràscanu trial. Besides having been born to a family with French origins on her maternal side and Bavarian roots on her father’s side, this made Miss Stahl an excellent material in the hands of the communist repressive régime. Greece. He later settled in Bucharest, where he became a naturalised Romanian. What triggered the persecution and imprisonment of Miss Stahl was the defection to West Germany of her close friend and former husband, the writer Petru Dumitriu (1923-2003), in 1960. The latter was her young protégé, for whom Stahl developed a maternal instinct, took him under her wing and eventually married him : an unlikely meeting of minds, but not of interests. She first met the young, up-and-coming talent when she was on a jury that awarded Petru Dumitriu the ‘Filip Aderca’ Literary Prize for the best short novel published in 1945. 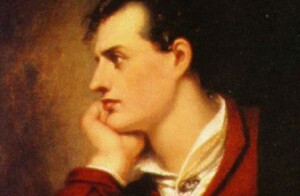 His was a double first, for not only did he win the coveted prize, but he also swept the lady of the jury off her feet. Their marriage lasted until 1956, not a bad record considering that Dumitriu was 24 years her junior. This union marked Dumitriu’s seminal output as a writer who zealously adopted the official brand of socialist realism in literature. Among his most acclaimed social novels with an aggressive ideological message were Bijuterii de familie (Family Jewels, 1949), Drum fàrà pulbere (Road without Dust, 1951) and Cronicà de familie (Family Chronicle, 1955). These books established Dumitriu as a reliable bulwark of the communist propaganda machine and from behind the scenes Stahl helped him in this direction. 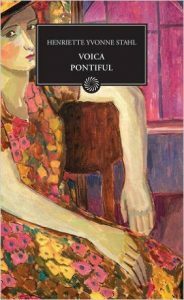 Stahl’s memoirs, published posthumously in 1996, reveal that she was in fact portrayed in Dumitriu’s writings as Isabela Giurgea-Roscanu, who falls madly in love with Dimitrie Cozianu, two fictional characters in her ex-husband’s novel Family Chronicle. The twist in Miss Stahl’s life, a talented writer in her own right, came when Dumitriu, who had been so close to the communist régime’s repressive machine, for a good decade decided nevertheless to defect. The Romanian Communist Party fetlt so ulcerated by his defection that it unleashed unprecedented reprisals against all members of the family. They were committed variously to forced domicile, loss of employment, incarceration in psychiatric asylums and, in the case of his infant son, sent to an orphanage (q.v. Arnàutoiu), with a ‘special’ tutor assigned to him (q.v Doina Jela, Cartea neagrà a Securitàtii). Although divorced from Dumitriu four years previously, Henriette-Yvonne Stahl was also implicated and imprisoned some 8 months after her ex-husband’s defection. Once behind bars she was made to sign, a statement under duress, declaring that in fact she ‘was the real author of Dumitriu’s novels’: quite an explosive statement presenting the defector as a complete and utter fraud. This statement was published in ‘Glasul Patriei’ (Fatherland’s Voice, oh, yes! ), in a vituperative article entitled ‘Petru Dumitriu – a Melodramatic Crook’, intended for the readership of the Romanian exiles. In her subsequent memoirs, published fourty years after the event, Stahl retracted the statement (q.v. quotation on Petru Dumitriu), but admits the seminal influence she had on his work. like Petru Dumitriu. Hers was a household name from a reputable family and an established writer, with all the qualities that pre-war Romania could still preserve during the sordid years of ‘proletcultism’ (a tennet of socialist realism which imposed the cult of the proletariat in all). By contrast to Stahl, Dumitriu was an unknown quantity, a rough diamond from the provinces, the young-man-in-a-hurry, ready to climb the greasy pole of the communist political establishment. This may not be the place to discuss this ‘fatal attraction’, which the fragrant 45 year-old Stahl had for the handsome 22 year-old muscle. However, beyond this implied innuendo, which reads like the plot in one of Stahl’s own novels, there was a deeper raison d’être in this unlikely marriage: Stahl came from a has-been social class, threatened with extinction under the dictum of dictatorship. This was a handicap impossible to circumvent and one which most certainly would have curtailed her literary career, indeed her very survival, considering many of her generation (q.v. Cotovu, Georgeta Cancicov and even Florenta Albu). By contrast, Dumitriu was of the new promising generation (generatia de maine), free of social or political blemishes, untainted by the past and dedicated fervently, if over-zealously, to the new cause. Better still, Dumitriu soon became the darling of the communist party and his books represented in the Romanian Stalinist literature of the 1950’s what Das Kapital represented for the Marxist staple diet. Stahl would not have been good material for such conversion: she would not have been credible. Still she was too intelligent and sophisticated not to see the advantage of marrying the young Dumitriu. Theirs was an indomitable union; they became untouchable. The fairy tale, if there ever was one, lasted just over a decade and the fall from grace was terrible and probably very dourly experienced by both partners. Once in the Promised Land of the West, Dumitriu struggled to maintain his place among the plethora of writers, in a country very different from his own: he later left Germany to settle in France. It is hardly surprising that in the West, his fellow exiles who suffered under communism would have nothing to do with him. His purgatory was long and painful, but eventually he managed to rescue his five year-old son from the clutches of the Kafkaesque orphanage in Romania (q.v. Arnautoiu, for a similar practice). We are searching for the Absolute in Infinity. We are searching for permanence, eternity, perfection in something which is amazingly transient. In addition to her fiction writing, Stahl was prodigiously active as a translator from English (Galsworthy, Brontë, Tagore), from French (Marcel Brion, Eugène Sue), Russian (Tourgueneff) and Japanese (Shikibuku Murasaki). 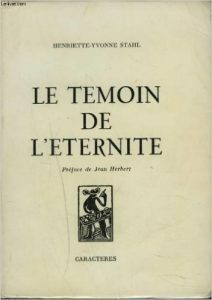 Stahl not only translated other authors from French, but she also translated her own books and she wrote Le témoin de l’éternité directly in French. 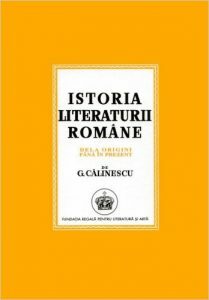 Henriette-Yvonne Stahl is given a half page in George Càlinescu’s History of Romanian Literature, which is no mean achievement for a contemporary female writer. However, her novels and short stories are belittled as feminist, because they are reduced to being considered ‘discreetly based on the problem of woman’s happiness’. Elsewhere she is indicted by Càlinescu for being ‘too theatrical’ and for professing an ‘exaggerated feminity’ (q.v. Càlinescu, p.631). Zaciu et al (p. 321) sums up the philosophy of Stahl’s work as a kind of treatise of perfect happiness, in Romanian fashion. Certainly Stahl’s own brand of happiness, as detailed in her memoirs, took a further 12 years after her death to reach the Romanian public. That was made possible only because of the collapse of communism when more candid and truthful statements could appear in print.